Motor boats > Inflatable boats > Handling trailer > Navaltecnosud Boat Stand s.r.l. 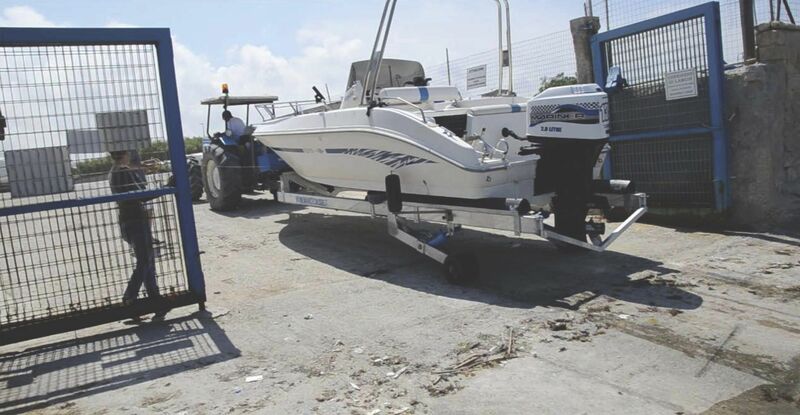 Innovative amphibian trailer with hydraulic pistons, for small and medium-sized boats of 3 Tons and 5 Tons. 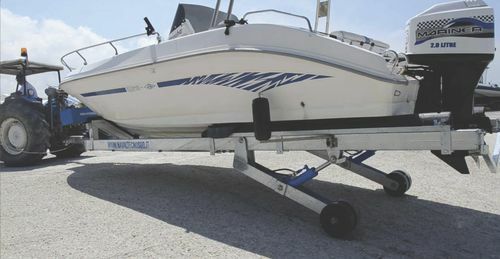 Innovative handling trailer for quick and easy launching/hauling of your boats and rafts and subsequent placement on the ground. Thanks to solid and comfortable rubber wheels, size 300X85 DIA, and watertight bearings, passes quietly on all squares both cobbled or asphalt or cement.